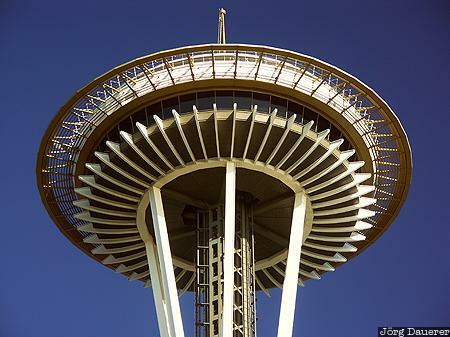 The top of the Space Needle in Seattle, Washington in the north-eastern part of the United States. This photo was taken on a sunny day in late September of 2004. This photo was taken with a digital camera.